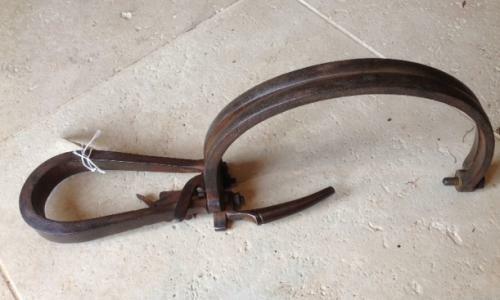 Antique Clutch Trap in good condition. these are complicated traps and as far as I can see it looks to be complete but please check before ordering by post. The jaws do open right out and the spring is very strong. These traps were used for Fox, wild dogs or deer. Now illegal to use.